Penates Way has a strong affinity for designing in harmony with the natural life cycles of people, nature and intrinsic energies of Earth. Collaboration with you, the homeowner, brings forth a space that nurtures and sustains the people, plants and animals living there. It is an intuitive process joined with a pragmatic design ability that allows for a smooth renovation. Even a small seed of a design idea can bloom into a sanctuary for you in this rapidly changing world. Pulp Design Studios is recognized for their modern approach to design with a flair for the unexpected. Each space that Pulp Design Studios designs is dynamic, balanced, and infused with the personality of the individual client. 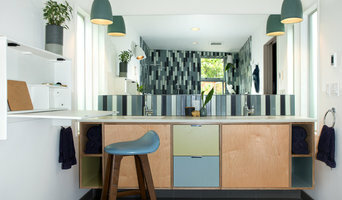 Creating beautiful spaces that reflect individual style, is the easy part! The true value lies in utilizing the creative and thoughtful design, to enhance your home’s value, increase your workplace productivity, and even help to increase sales for your business. Pulp Design Studios leverages more than 30 years of combined residential, commercial and hospitality interior design experience. Through the education and hands-on knowledge of your design team, Pulp designers guide and manage your design project, providing clear communication on budgets, timelines, aesthetic, and quality to meet and exceed client expectations. The Pulp Design Studios team works with a love of beauty, design, furniture, textiles, and the desire to create a space that tells each clients’ story. The team stays up to date on the latest trends, styles, and design strategies through continuing education, hands on experience, market travels, and by authoring the popular design and lifestyle blog, Hello, Splendor. Unique design creation for each client is a critical requirement in every aspect of each project. Pulp Design Studios’ background in custom furniture design & product development will help to create one of a kind pieces to enhance your home. The founders and senior team at Pulp Design Studios, Registered Interior Designers Beth Dotolo & Carolina V Gentry, have a goal to create a stunning space that is functional, livable, and adaptable to each client’s lifestyle. It’s not just about a beautiful space, it’s how you live in it. Also, shop our original designs and curated goods at PulpHome.com. I began my career in graphic design and photography, but through a chance encounter with a remodeling project – something I started just for the fun of it – I discovered how much life there is to designing the spaces where people live, where friends are made and families started. So I shifted gears and began to work for a large Seattle-area property management company, where I learned to oversee large remodel and renovation projects. To ensure a good foundation in spatial design principles, I went back to school to study interior design at the Art Institute of Seattle. Through both, I furthered my love of seeing the potential in a space and transforming it. I started my own firm, and for 18 years now, DC Designs has been helping to realize the potential in a wide variety of spaces. I’ve developed an approach for identifying your individual style – or how disparate styles can blend to reveal who you are as a couple – that helps me get to the root of what you like, want and need from your sanctuary. My work has appeared in Seattle Homes and Lifestyles magazine and Alaska Airlines magazine. With every project, I call on that early experience in large scale remodeling to manage your project and a team of crafts people. The end result – a blend of work that harmonizes for an ideal expression of you, of home. Imagine delightful surroundings authentic to you that celebrate your unique identity and purpose. At home, work, or play your goals can be creatively stewarded by the finest artisans and craftsman who make your personal surroundings function properly, look beautiful, and feel just like you. Hi, I'm Keith. If you could blend an anthropologist with an installation artist and a life coach who happens to be the fun brother in your family, that about sums up how I can help you laugh your way through the challenges of the change you're craving. Contact me and let's talk about you living your fullest life in the finest environment. Really. Let's plan results you'll love. Email me at info@millerinteriordesign.com, and we'll get started! 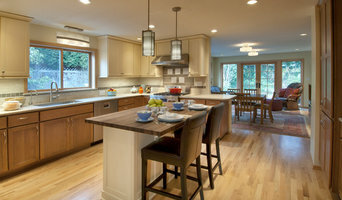 BLEND Interior Design Studio is a full-service interior design firm in the Seattle area. We believe that your home should be your sanctuary, reflecting your personality while blending lifestyle functionalism with great aesthetic harmony. BLEND can transform your space within your means through a flat fee "Big Picture Plan" or through any interior design process including consultations and project management services. BLEND i.d.s. believes in the philosophy of great design solutions. Whether the style is contemporary or traditional in nature- appropriate design solutions that create an aesthetically appealing space that is also functional for the user is always what we strive for. 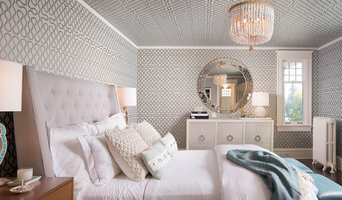 KAT LAWTON INTERIORS Kat Lawton Interiors is a full-service residential interior design firm that specializes in custom luxury homes, across the greater Seattle area. 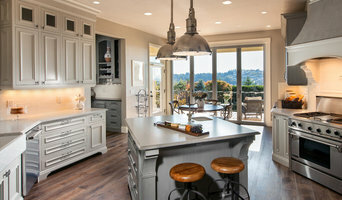 Our projects range from custom new construction homes to remodel projects and include design services such as: project planning, architectural drafting and review, perspective sketches, selections of finishes and materials, cabinetry design, furniture and fabric selections, lighting, and plumbing fixture selections. We work closely with the project builder and architect, to ensure that the design process is streamlined, time efficient, on budget and within schedule. ABOUT KAT Kat holds a bachelors degree in interior design from The Art Institute of Seattle and has nearly 10 years of interior design experience. With a strong architectural sensibility and an eye for fine detail, Kat believes a home should feel elegant, relaxed, and effortlessly curated; most importantly, it should reflect the lifestyle of those who live there. Her interiors are blended with opposing elements; the simple paired with the ornate, masculine mixed with graceful softness, and the organic with the refined. In her free time, Kat spends time with family, friends and her two Alaskan Malamutes. She hikes often and travels when possible. I enjoy working closely with my clients on small or large residential interior projects. I'm available for a simple color consultation or for an entire home update! Interior, Kitchen and Bath Design/Build Firm Specializing in Residential and Light Commercial Remodeling. We can help with your project from design concept through building and furnishings and all aspects in between right down to the accessories and window treatments..